As a bodybuilder, dieter, or athlete; we all have different endgame goals. To shred down, to perform maximally, or to build up and do both. But despite these differences there is one thing that always remains the same, carb utilization. The dieter wants to keep carbs from turning to fat, the athlete wants carbs to restore glycogen stores for the next event, and the bodybuilder wants the best of both worlds. Either way you put it, either way you look at it – anyone that managers their body through exercise and diet wants more carbs going into your muscle cells, and less carbs going into your fat cells. If only there was something that could do that. Oh, wait. 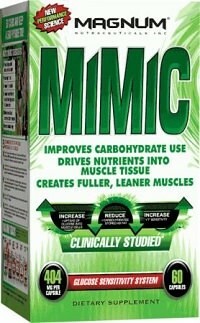 We have Mimic by Magnum Nutraceuticals. 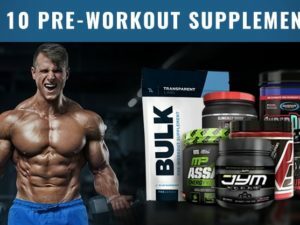 Mimic is a very unique supplement, and because of that, this review has been prepared a little more meticulously. This is a good thing. It’s a good thing because Mimic is one of those supplements that performs more than other classes of supplements. So here, I’m going to go over every detail I experienced while reviewing Mimic as well as take a deep look into the formula. Here we go. To begin, Mimic was a sheer pleasure to take. Going off of the directions, I was taking Mimic before my post workout meal, as well as before my largest meal of the day on off days. Doing so, I assimilated more nutrients and packed more carbs directly into my muscles than I ever had. It’s an experience that’s hard to explain. A few hours after my meals, I could feel it. A carb-loaded muscle pump. Especially in my upper chest and biceps, a feeling of tightness and fullness almost comparable to pump was present. It wasn’t pump though, it was complete glycogen uptake which is an amazing thing. This enhanced uptake of carbs into my muscles led to some amazing workouts while taking Mimic. 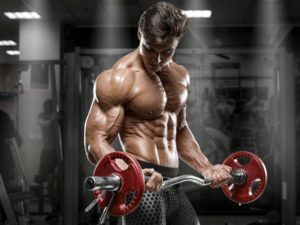 There was more energy in the gym, more power, and a very pleasing leaning effect as my meals became far more muscle-bearing than fat-bearing in comparison to the past. Mimic is made of ingredients that naturally increase insulin sensitivity as well as ingredients that improve nutrient uptake into the body. By improving insulin sensitivity alone, the body is much more reactive to your carb meal and quickly partitions those carbs into muscle cells. This bypasses the lingering of carbohydrates which can result in fat transition either by liver uptake or direct fat cell uptake. Jiaogulan – Clinically shown to improve insulin sensitivity in type II diabetes patients. Type II diabetes is associated with poor insulin receptor activity. In healthy individuals, this upregulates sensitivity to insulin and helps bypass fat cell uptake of carbs. Berberine – Improves muscle cells’ ability to bring carbohydrates and other nutrients inside for glycogen storage. May also improve insulin sensitivity. R+ Alpha Lipoic Acid – Among many things, aids in the fast uptake of carbohydrates from the blood stream and improves insulin signaling. Cinnamomum Cassia 8:1 and Chromium 454 – Two unique sources of bioavailable chromium which has been found to help transport carbs into muscle cells via being a cofactor. May also aid in the synthesis of glycogen. Many of these ingredients are individually used by bodybuilders, dieters, and athletes on a daily basis to better moderate carbs. However, when you combine them in the same fashion as Mimic – it takes on a whole new effect. With Mimic, you just need to take one to two pills a few minutes before eating to receive all the benefits of improved carbohydrate partitioning. In other scenarios it may be an ongoing effort. Until I took Mimic, I didn’t understand what it was to have such a high efficiency for partitioning carbohydrates. Now, I can see that supplementing with Mimic is going to be very advantageous during competitive lifting times of the year. Whether that be the winter bulk, the summer shred, or simply showing up my lifting partner – Mimic is a serious ally that will help you get to your goals.